Volunteer at a New Zealand Festival! If you love festivals but don’t love the price tag that comes with them, then volunteering for New Zealand festivals is for you! Those on a working holiday visa have the amazing opportunity to volunteer at a festival in New Zealand. Be part of New Zealand cultural events, gain skills for life, make new friends, and see incredible performances for free! New Zealand hosts some renowned music festivals, from beach-side hippy festivals like Splore to the world’s biggest New Year’s Eve party in the first city to see the New Zealand, Rhythmn & Vines. There are also arts festivals, sporting events, food festivals, comedy, multi-cultural events and more happening annually around New Zealand. Just take a look at Top New Zealand Events in 2018 and New Zealand Calendar: What’s going on? to get an idea. Before you make your way through this article and take in heaps of amazing advice we’re about to give you, make sure that you are prepared to apply to volunteer at a festival well in advance! Some of the largest festivals are looking for volunteers from three months to a year before the event. See performances, get involved in workshops, and be part of the New Zealand festival culture. Build work experience and make your CV look epic! Meet new people, make new friends, be a social butterfly, and spread your wings! Network with people that could further your own career and ambitions. It’s free! Get free entry, possible food for the festival, and a cool T-shirt to go home with. 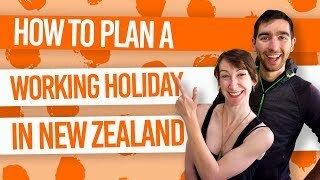 Do I need a work visa to volunteer at a festival in New Zealand? In short, yes you do need a work visa to volunteer at a festival. Immigration NZ states that volunteering in exchange for a “gain or reward” is considered as work and therefore you will legally be required to have a work visa to volunteer in festivals. Because there is almost always perks to volunteering at a festival, such as free tickets, T-shirts, food, accommodation, etc. then you would need to hold a valid work visa, like the working holiday visa, to volunteer at a festival. Be aware that although most festivals will not ask you whether you have a work visa or not, it is your own responsibility to have one. Find out how to get a working holiday visa in our guide Working Holiday Visa Online Application Guide: Part 1. What roles can I expect to do at a New Zealand festival? The volunteer roles available at a festival depends on what type of festival it is. Large music festivals are likely to have much different roles to a small writers festival or sporting event. On your chosen festival website – festival websites usually have a dedicated section for volunteers. If they don’t, send them an email giving your details, availability and skills you can offer. Most volunteer positions for festivals require you to fill out and send an application form. As well as outlining personal details and emergency contacts, there will be space to outline your skills and your strengths – much like when you apply for a job. Don’t worry if you have no past experience of volunteering at festivals or think your skills are not applicable, it is just so festival coordinators can place you in the right role and usually there is a role for everybody. It is likely that you will also need to explain “where you shine!” i.e. what are your skills? If there is a specific role you are looking for, for example, bartending, construction (to build stages), front of house, etc. then obviously outline these skills in your application. For lesser-skilled roles, such as camping/parking steward or waste clearance, then play more on your personality strengths and eagerness to work. Remember to keep your tone casual and upbeat – it’s a festival, after all!